Should I Buy a Kia? — Auto Expert by John Cadogan - save thousands on your next new car! 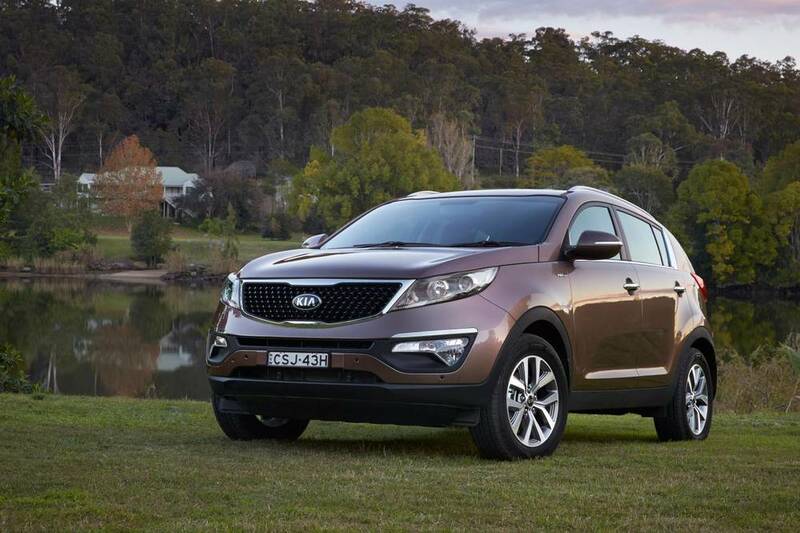 Hi John, I have been listening to you and Tim Webster on Radio 2UE and heard you singing the praises of the Kia Sportage - again. Well, I paid cash in 2007 for my Kia Sportage and from day one - not exaggerating - I have had problems. Absolutely hopeless Peter Warren dealership at Warwick Farm NSW, failing to sort out the problems. Firstly the ESP light kept coming on. They told me to turn off the car and then on again. I did that constantly, returning to their service department so many times I lost count. They supposedly replaced components, but the problem still kept happening. It's so long ago I can't remember who fixed that problem, my son sorted it out. Many minor things went wrong and I gave up on Peter Warren altogether. Another scary problem I remember was when all the lights on the back of my car weren't working. I always had my car serviced and often the service guys would put a light on here and there. Never had that in any car in my life before. I used to think how rude people were beeping me when I was driving to the speed limit and always using my indicators, but I was driving along a busy road and a big truck honked incredibly loud, then pulled up next to me to ask if I knew I had no lights on the rear of my car! Went to an auto electrician and another component had to be replaced. The last main thing: I was almost killed this time. I was pulled up at a set of traffic lights and the darn car starting revving madly. Thankfully I put it in neutral and held down the brake. I thought maybe I accidentially had my foot on the accelerator as well as the brake and drove off again. A coupld of days later it happened again as I was slowing down at lights. I was scared stiff driving it after that time. My son took it to a taxi place after taking it to a number of service guys who couldn't sort it out. The taxi chap said it was the cruise control and disengaged? Replaced another component and now it drives okay. Well, so far so good. It’s unfortunate that you’ve had such a bad experience with your Kia Sportage. 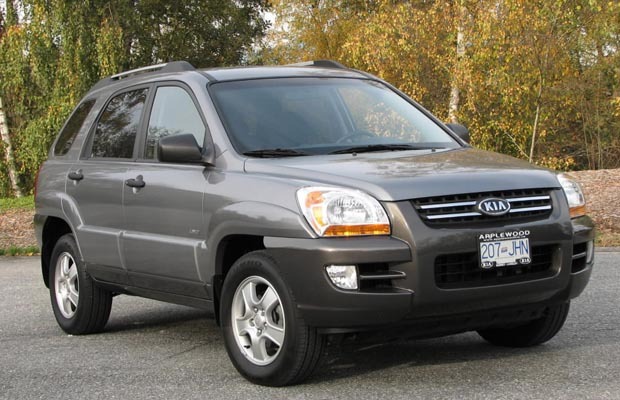 The 2007 Kia Sportage was a nasty little car (same as the Hyundai Tucson) and I never advised anyone to buy one of those. They were pretty hideous. But cheap - and you certainly got what you paid for. The Sportage I was referring to on air recently was the current model, which is all-new from the ground up. As in: it shares nothing in common with your old Sportage. (When people ask my advice about buying a new car I can only talk about the models available for sale today. And it seems unfair to damn the current model for the sins of its predecessor...) The current model is a great car. I own one since 2011 - a Sportage Platinum diesel; it has been fantastic - as in, faultless. And so it would want to be - as it cost me $40k. It’s not as if they’re cheapies any more. The problem with these rapidly evolving brands like Hyundai and Kia is they absolutely were nasty just a few years ago, and people like you who have had bad experiences remember the pain (or are still experiencing it). It tarnishes one's perception of the brand for the foreseeable future. Japanese cars went through the same rapid product evolution in the 1970s. If you go back 7-10 years all Kia and Hyundai cars were awful. Once again I am sorry you have had this experience. I will get someone from Kia Australia to contact you and see if they can’t get your car back to tip-top condition in relation to the cruise control. However, they probably will not do that free of charge, given the age of the car. Thank you so much for your prompt response to my letter. I surely never had such service from Kia. Your comment about the early Sportage being a ‘nasty little car’ doesn’t really make me feel good after paying cash and having so many problems with my car. I forgot another problem I have had for years … add this to your list about the nasty little car…. On and off the darn thing doesn’t start first time especially if parked on a slight incline. It seems to be okay at the moment but you never know. Marty (no surname given) from Kia rang me first thing Monday morning last and we went round and round with the problems. He offered to replace the brake light thingo which I explained a number of times is working now. I mentioned the cruise control problem but he didn’t seem concerned about that. Either way John I am truly exhausted with the problems and as I am only a month or so out of major back surgery and am not driving at the moment I’ll leave it to my son to follow up what he thinks we should do. Thank you Sandra. I appreciate you listening on 2UE and I wish you all the best with your rehabilitation. I hope that goes well. (It doesn’t sound like fun). Relationships with car companies are all lost in the customer service department. I hope having a vent to me has helped. (I’m sure the Kia guy was trying to be helpful; whether or not he in fact was helpful is another matter). I am interested in buying a new car and like the Hyundai ix35 Highlander. What is your opinion of the ix35? How does it compare with other SUVs such as Nissan X-TRAIL, Mazda CX-5, or do you consider any other better? I am 32 years old and am keen to buy a new or second-hand SUV. I am ready to spend up to $45,000 on this vehicle. My partner wants a car with a 'premium' feel (leather seats for instance) and I want a car with more acceleration capacity than a soccer-mum car. We may drive off-road very occasionally (twice a year, maybe). What would be your advice regarding the purchase of my next car? Should I Buy a Hyundai ix35, Kia Sportage, Nissan Qashqai or Mazda CX-5? I can't afford the Santa Fe that you seem to recommend. Are the cheaper versions just as good? I carry a baby's seat for granddaughter. Looking for a comfortable drive because I suffer badly from arthritis. Look forward to your recommendation. Should I Buy a Hyundai Santa Fe Elite or a Jeep Grand Cherokee Diesel?